In 1213, Pope Innocent III issued his letter Vineam Domini, thundering against the enemies of Christendom-the "beasts of many kinds that are attempting to destroy the vineyard of the Lord of Sabaoth"-and announcing a General Council of the Latin Church as redress. The Fourth Lateran Council, which convened in 1215, was unprecedented in its scope and impact, and it called for the Fifth Crusade as what its participants hoped would be the final defense of Christendom. For the first time, a collection of extensively annotated and translated documents illustrates the transformation of the crusade movement. Crusade and Christendom explores the way in which the crusade was used to define and extend the intellectual, religious, and political boundaries of Latin Christendom. It also illustrates how the very concept of the crusade was shaped by the urge to define and reform communities of practice and belief within Latin Christendom and by Latin Christendom's relationship with other communities, including dissenting political powers and heretical groups, the Moors in Spain, the Mongols, and eastern Christians. The relationship of the crusade to reform and missionary movements is also explored, as is its impact on individual lives and devotion. The selection of documents and bibliography incorporates and brings to life recent developments in crusade scholarship concerning military logistics and travel in the medieval period, popular and elite participation, the role of women, liturgy and preaching, and the impact of the crusade on western society and its relationship with other cultures and religions. 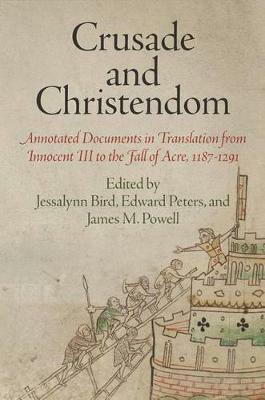 Intended for the undergraduate yet also invaluable for teachers and scholars, this book illustrates how the crusades became crucial for defining and promoting the very concept and boundaries of Latin Christendom. It provides translations of and commentaries on key original sources and up-to-date bibliographic materials.